New adventures in Star Trek with this comic book series that ties into the new Star Trek television show, which is airing on CBS All Access in the U.S and Netflix internationally. IDW is the publisher of this series, the company is responsible for several Star Trek comics, spanning the many iterations of the show and is now involved with the Discovery version. 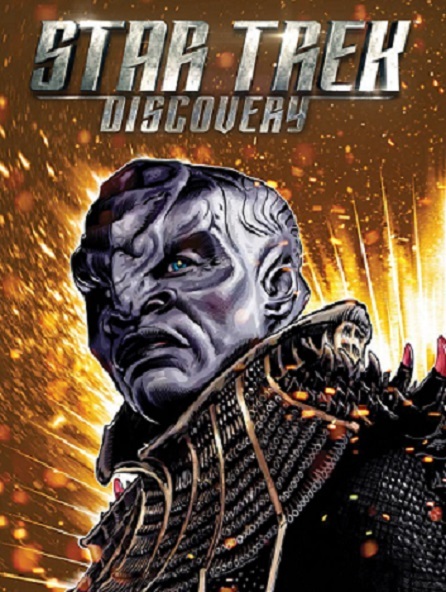 According to IDW, the Star Trek: Discovery comic is a prequel that explores the backstories of the main Klingon characters, including T’Kuvma, the leader of a Klingon faction determined to restore the glory of the Empire. The Discovery comic is being co-written by Kirsten Beyer and Mike Johnson, with art by Tony Shasteen. Beyer is also a writer for the live-action Star Trek: Discovery series, while Johnson has experience writing the comic book adventures of the original crew in the Kelvin timeline. Shasteen previously collaborated with Johnson on the Star Trek: Boldly Go comic book series. There is also a novel tie-in to the show, written by David Mack and titled: Star Trek Discovery: Desperate Hours – which is already available. There will be four issues in this comics series, the first of which will be 32 pages in length and is scheduled to be released this month. There are plans for Issue #1 to feature a variant photo cover, plus another alternative cover available by artist J.K. Woodward, and for each issue to feature a ‘ships of the line’ cover by Declan Shalvey and Jordie Bellaire. Check IDW’s website for more information on availability and publishing details.